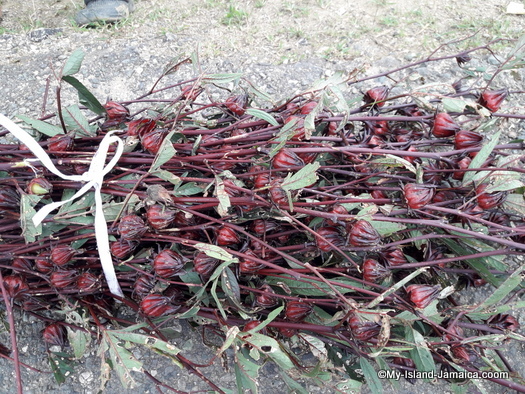 Refreshing Jamaican Sorrel - with the recipe! Refreshing - And Healthy Too! 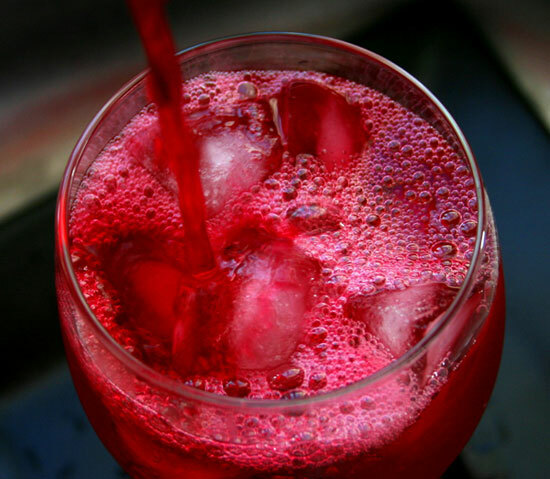 Christmas here is not the same without a tall glass of the refreshing Jamaican sorrel drink, seriously. Sorrel has always been an integral part of Jamaican (& Caribbean) foodand culture, especially in the festive Christmas season. There is the delicious 'rice and gungo peas', the rum soaked Jamaican Christmas cake, but equally significant, is the delectable taste of sorrel. Much of the love comes from the smooth taste because of the addition of rum. In fact, it is really the rum element that distinguishes our sorrel! And if you are not a rum lover, never mind, everyone can have it. The amount of rum added is purely discretionary - and even if already added, it can be diluted with other light drinks, or sodas. 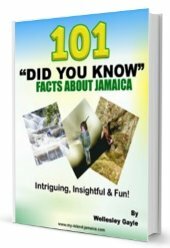 Sorrel however, is not indigenous to Jamaica. In fact, it is found all around the world. 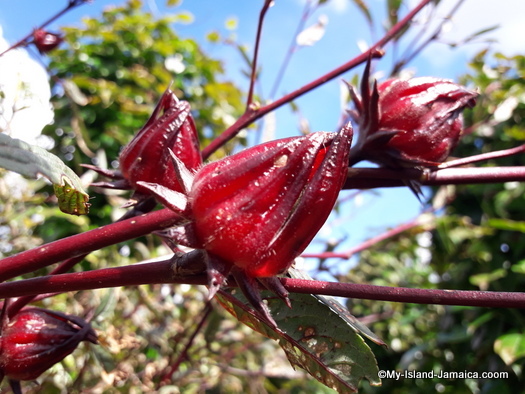 Officially called the Roselle plant (Hibiscus sabdariffa), it is a specie of hibiscus native to the Old World tropics. It is an annual or perennial herb or woody-based subshrub, growing to 2–2.5 m tall. The leaves are deeply three- to five-lobed, 8–15 cm long, arranged alternately on the stems. The flowers are white to pale yellow with a dark red spot at the base of each petal and have a stout fleshy calyx at the base, which enlarges to a fleshy and bright red as the fruit matures. We typically reap it towards the end of the year, between November and December. We love it primarily for the savory taste, but here and across the world it is also used for a host of other purposes, including as a diuretic, mild laxative, and treatment for cardiac and nerve diseases and cancers. The plant is also cultivated for the production for bast fiber from the stem. For further study on this amazing plant, click here. And now the fun part- the recipe for the Jamaican sorrel drink. It's quite easy. Wash sorrel thoroughly, drain and place in bowl. Peel and grate ginger and add to sorrel. Boil water and pour over sorrel. Allow to stand for at least 4-6 hours. Strain, then sweeten and add rum to taste. New! 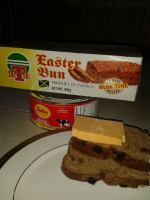 For those not in the Jamaica, sorrel can be purchased pre-packaged from most Jamaican, Caribbean or African stores. You may also purchase sun dried sorrel here in our Amazon Partner Store and have it delivered to your door - taking advantage of the convenience of the internet.